The shrine of modernist architecture that is the Neutra Museum on Glendale is looking for new artists and architects to showcase their finest work in Silver Lake. 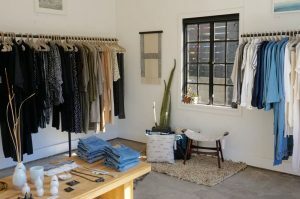 A colorful range of art exhibits and small creative working spaces are often open and available to the local artist community in the Neutra-designed building. The Neutra Museum and also the recently-classified historic landmark along the reservoir are a hub for a range of painters and architects to craft as well as showcase their best works. The museum is headed by Dion Neutra, who is son of perhaps the 20th Century’s prominent modernist architect, Richard Neutra. A noted architect in his own right, Neutra said that the Silver Lake office has space he helped design is available for artists who would like to set up there, either on a temporary or long term basis. Along the former reservoir waterfront, across the street from the Silver Lake Meadow, is the Neutra VDL Research House. In January 2017, the house was given status National Historic Landmarks by the U.S. Department of the Interior. Both the museum and the research house, located literally around the block from each other, host regular events that are open to the public. In January, the research house was designated as a Historical National Landmark by the Department of the Interior. 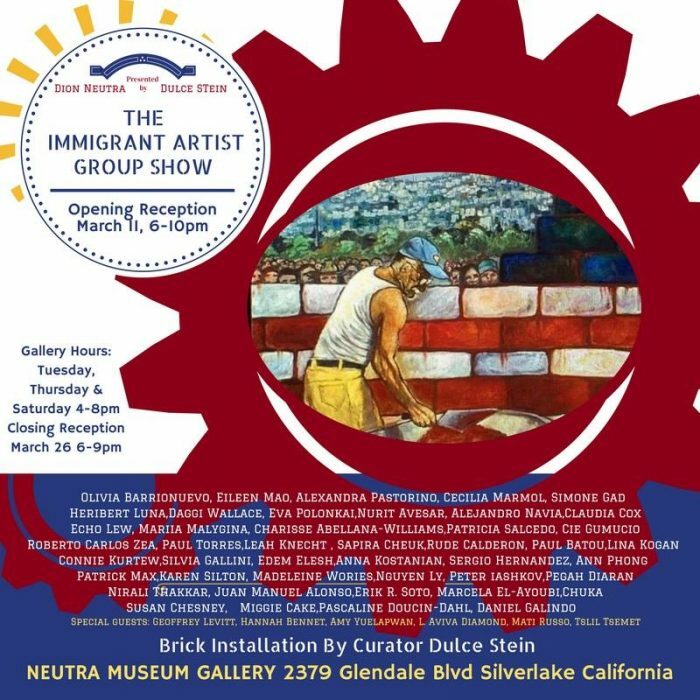 During March, running from the 11th to the 26th on Tuesdays, Thursdays and Saturdays is the Immigrant Artist Group Show, organized by Neutra and curated by Dulce Stein. On Saturday March 18, the museum is also holding a grant writing workshop for aspiring career artists. 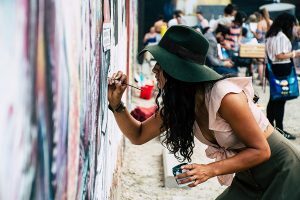 Linda Vallejo, former Grantwriter, Grantwriting consultant, artist and exhibitor, will share her experiences in how artists can make sustainable careers for themselves as well as get their work exhibit. Beyond March’s exhibits and events, the Neutra is usually busy with art exhibits and special events that can be found here.